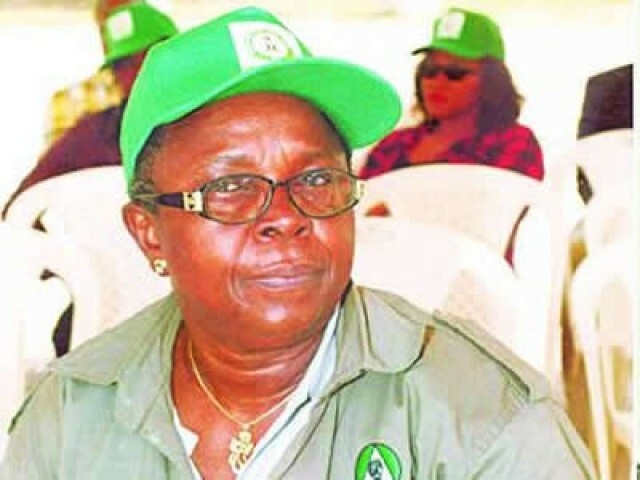 Mrs Peace Obiajulu, former President of Senior Staff Association of Statutory Corporations and Government Owned Companies (SSASCGOC), has urged managements of organisations to improve on workersâ€™ conditions of service for increased productivity. Obiajulu made the plea in a paper entitled:â€ Employment Conditions and Workersâ€™ Productivity: Lessons of 40-year of Unionism in Nigerian Ports Authorityâ€, presented at the 40th anniversary of SSASCGOC in Lagos. According to her, dynamic and progressive organisations endeavour to attract and retain the right people for the right job by creating and sustaining their motivation in changing circumstances. She said that for optimal performance in the work place, one could not overlook the value and necessity of labour in every organisation. Obiajulu, who was a former President, Trade Union Congress (TUC), said that labour activities helped to checkmate the activities of employers for increased productivity. â€œEmployment conditions are also referred to as terms of employment agreement. â€ The contract of employment include responsibility in the workplace, work days, hours of work, break or rest periods, remuneration, retirement, health, retirement plan, training and re-training. â€œOrganisation that values high performance of the workforce should therefore remember that it could only be provided by employees. She did such employees were those who on one hand, have the opportunity to participate in professional development and perform duties in decent working conditions that would not threaten their health and lives. â€œEmployeesâ€™ working conditions are essential for customersâ€™ satisfaction and organisationâ€™s performance. â€œThe quality of work environment in any organisation is a critical factor and may simply determine the level of employeeâ€™s motivation, subsequent performance and productivity. â€œOther benefits include reduction in turnover of staff, fewer occupational injuries and illness cases. Others are improved job satisfaction, improved relationship between workers, management and co-workers as well as reduction in occupational health hazards and improved safety in the workplace. Obiajulu said improper employment conditions usually led to physical and mental exhaustion. She said that such conditions could also result to lack of full commitment, increased accidents and loss of man-hour as well as low professionalism. The President, Maritime Workers Union of Nigeria (MWUN), Mr Adewale Adeyanju, commended the union, saying that hardwork and focus were the seeds of the enviable heights the union had reached. Adeyanju said that SSASCGOC had proved and still proving that hard work and commitment were important and could take anyone to the top. â€œI am therefore glad to be associated with your union and its able leadership. â€œIn the past 40 years, you have achieved tremendous growth, influence and impact of your organisation due to the steadfast hardworking team behind it. Mr Sonny Maduka, who commented on the â€œImpact of Technology on Todayâ€™s Labour Forceâ€, said that most workers did not understand how to operate latest technologies to fasten their production. Maduka said that before now the system was much like manual, adding that things were changing. He urged workers to be dynamic along with globalisation. â€œVery soon machines will be doing all the activities in the ports and if workers fail to blend, they will be obsolete. â€œYou must try as much as possible to embrace media and technology and stop being monopolistic. â€œIn some parts of China today, you donâ€™t need to buy anything. You will just place your order, and a computer will allocate a seat for you and a robot will come before 10 minutes and give you your orders. â€œThere is need for workers to re-integrate and reinvigorate into the new norms of ICT. â€œWorkers need to synergise to enable robust, efficient and reduce cost of operations,â€ Maduka said. He said that there was need for workers to enable Nigerian Ports to be the preferred destination for all cargo.